Made by joining pieces of vintage Swiss ammo leather together. 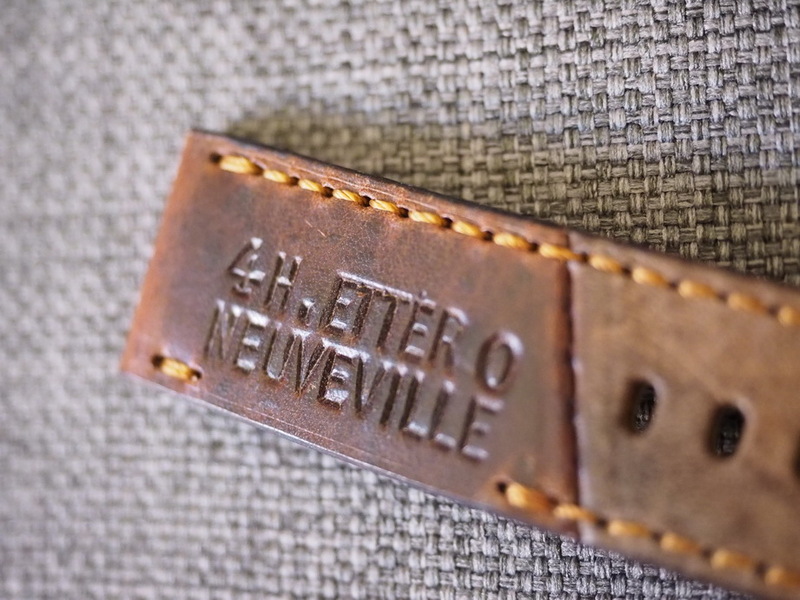 The idea behind the special edition Swiss ammo straps is simple: We don't want to waste any of these beautiful leather. 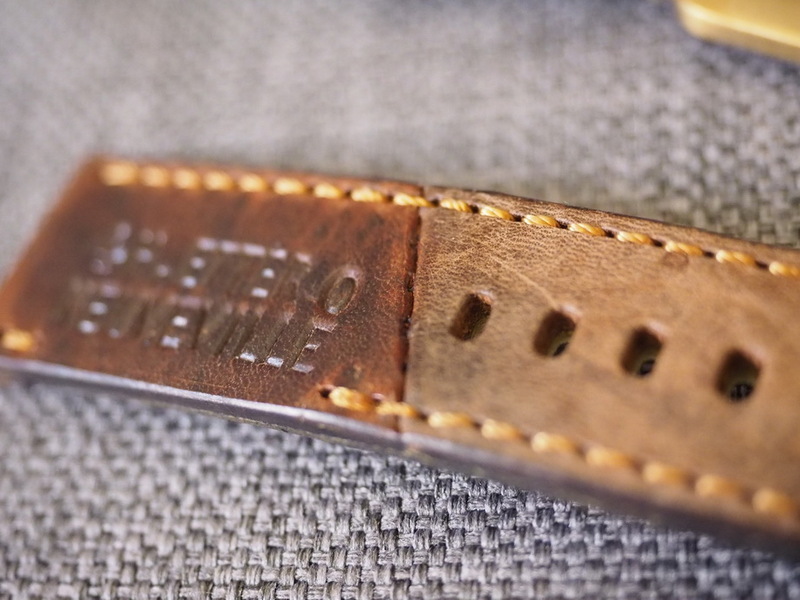 By joining pieces of leather together, there are no limits on what kind of straps we can create. 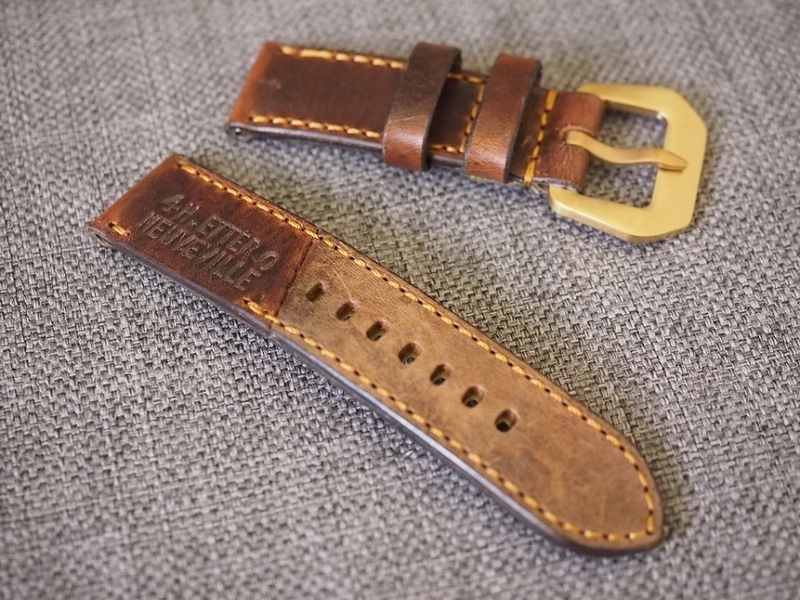 This strap will be a great match to your Panerai, Rolex, Breitling, Omega, IWC and more. 4. Color: Light to medium brown. *All Ted Su Straps are covered by warranty. The lining of the strap is like the sole of a shoe, it will need to be replaced after some time. If your strap lining or stitching ever need service, just let us know, and we will take care of the rest, for free. *Custom orders are welcomed. Please use the "Contact Us" form to let us know your ideas.